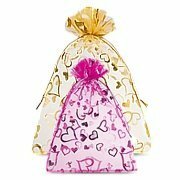 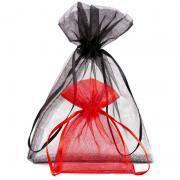 In this category, we offer you stylish metallic organza pouches with elegant appearance and decorative purpose. 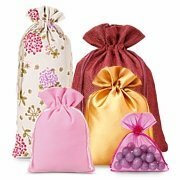 They can be a beautiful package for a gift that reveals luxurious content. 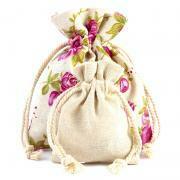 Therefore you can store inside many things like; ecological cosmetics or massage oils. 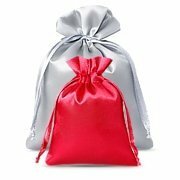 It will also be a good idea to give various gadgets inside our metallic bags. 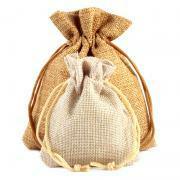 Pouches made of metallic fabric also work well during weddings and wedding receptions. 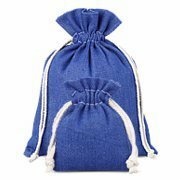 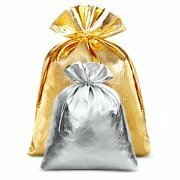 In these gold or silver metallic bags you can store confetti, rice grains and rose petals, which will be used to shower the newly married couple after leaving the wedding ceremony. 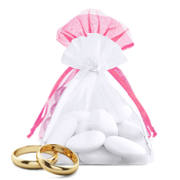 You can also pack delicacies for wedding guests or a piece of paper with a fragment of the poem as a symbolic thank you for attending the ceremony. 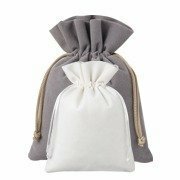 In the assortment of our online store, you will buy bags with a metallic sheen in two shades: gold and silver, and in several popular sizes, min: 8x10 cm, 10x13 cm, 13x18 cm and 18x24 cm.